and we believe that an American flag should be made in America by Americans. pennants and nautical flags. Broward Flag also carries patriotic gifts and patriotic decorations. Welcome to browardflag.com! We are top quality providers of affordable flags, flagpoles, pennants and banners serving individuals to industries since 1976. All of our flags are made to the strictest standards using the finest materials available and attention to detail. 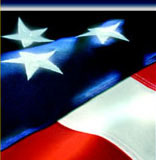 Buy better quality, longer-lasting and less expensive American flags at BrowardFlag.com. We are happy to be serving all of your flag and flagpole needs for your patriotic and promotional events! BrowardFlag.com is a preferred supplier of American flags, military flags, historic flags, state flags, and flagpoles to businesses, government agencies, military units, schools, churches and patriotic Americans. At Broward Flag Co., we strive to provide you with the highest degree of customer service. All inquiries to our website are handled in a timely matter and our online ordering system makes it easy for you to order your favorite items securely. All stock items ship from our facility within 48 hours and we guarantee your satisfaction on all of our great products! If you have any questions while on our site feel free to contact us via phone or e-mail. We have an expansive inventory of merchandise not listed on this site, therefore, if you do not find what you are looking for we probably have it or can get it for you!